Changes reverse legislation brought in by the previous Liberal government that allowed health care providers to lay off unionized employees and hire them back at lower wages. B.C. 's health minister has moved to repeal legislation that has long allowed health-care providers to lay off unionized workers and then hire them back at lower wages. 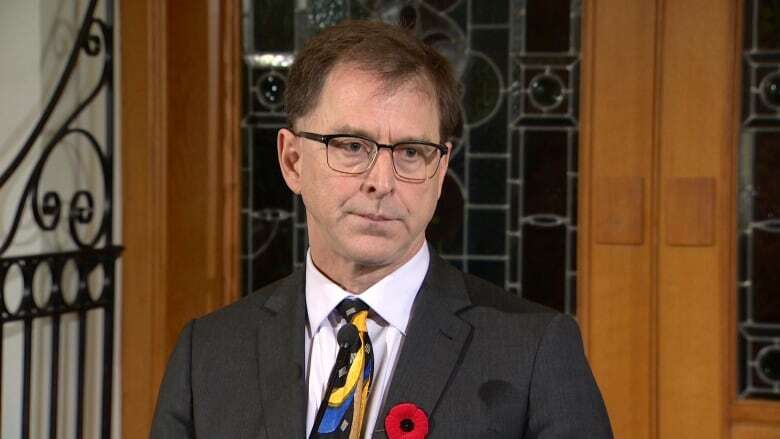 The practice known as contract flipping at seniors care homes and health-care facilities isn't fair to workers and has pushed people away from seeking employment in the sector, Adrian Dix said Thursday at the legislature. "Sending the message that this work is precarious at the time when we absolutely need to recruit a new generation of heath-care workers is the wrong public policy for today," he said. Contract flipping has been used as a cost-cutting measure by health-care providers since the previous Liberal government brought in Bill 29 and Bill 94 in the early 2000s. That legislation gave health-care employees fewer rights than other B.C. workers and led to more contracting out and thousands of layoffs, which largely affected women, Dix said. The result is a fragmented health-care system with poor continuity of care, especially for vulnerable seniors, he said. Under the new legislation, pay and benefits workers have negotiated would transfer, even if a new contractor takes over at the facility where they are employed. Currently, they can been let go and rehired with different wages and benefits. The change affects care aids and workers in areas such as food service, housekeeping and laundry. "Repealing these laws is an absolutely giant step toward restoring justice and fairness for health-care workers and starting to repair the damage that has been done to health-care delivery," said Jennifer Whiteside, secretary business manager for the B.C. Hospital Employees' Union. "Prior to 2002, we had a standard for the wages and working conditions across our health-care system, and that standard was deliberately taken apart piece by piece by Bill 29 and Bill 94." The changes are also needed to attract more people to work at B.C. 's seniors care homes, Dix said, noting 900 more care aids will be required, even before retirements in the sector are taken into account. A group that represents both non-profit and for-profit seniors care providers supports measures in the legislation that could help deal with staffing shortages but questions how companies will manage their bottom line. "We want to know that there is a full costing-out of this bill, really how it will affect care providers, and, of course, if there are additional costs that there is a full commitment from government to fund those cost differences," said Mike Klassen, vice-president of communication and stakeholder relations at the B.C. Care Providers Association. "We have quite a few care providers around the province that are pretty close to the line in terms of their bottom line. If the costs go up much more, we are going to see them in a situation where they cannot sustain their operation." Dix acknowledged contract flipping was being used to reduce operating costs and says more funding may be needed for the system without the practice. "There is nothing inherent in the legislation that increases costs, but what we are taking away is the right of health authorities and contractors to drive down wages," he said. The legislation will not go into effect immediately after it is passed, Dix said, allowing time to work with health authorities and for-profit providers on how to make the necessary adjustments.